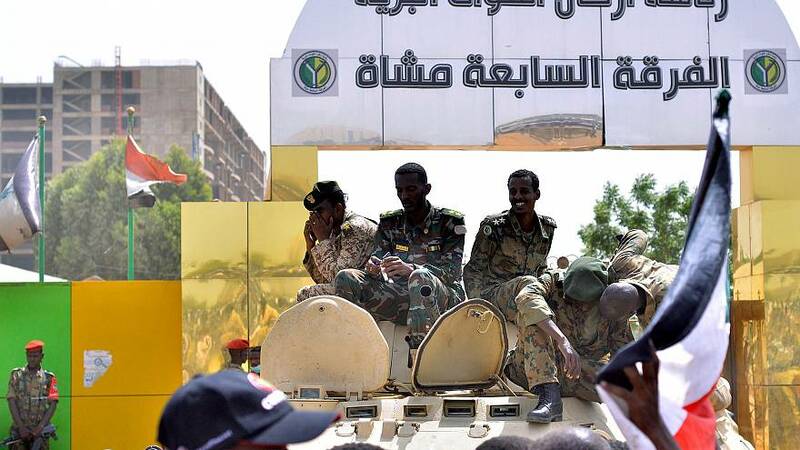 KHARTOUM — President Omar al-Bashir, who ruled Sudan with an iron fist for 30 years, was on Thursday overthrown in a coup by the armed forces which announced a two-year period of military rule to be followed by elections. Bashir has been indicted by the International Criminal Court in The Hague and is facing an arrest warrant over allegations of genocide in Sudan's Darfur regionduring an insurgency that began in 2003 and led to death of an estimated 300,000 people. 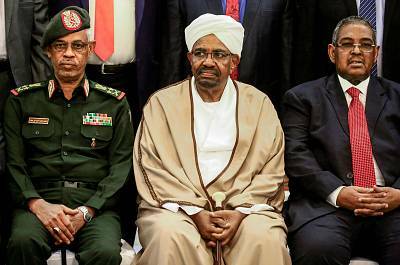 Names of Bashir's possible successors that have been circulating include the defense Minister, an ex-military intelligence chief, also an Islamist, and former army chief of staff Emad al-Din Adawi. 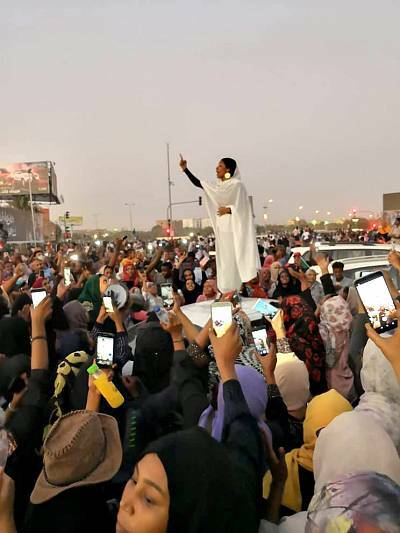 Thousands of people flocked to an anti-government protest outside the defense ministry on Thursday, while huge crowds took to the streets in central Khartoum, dancing and shouting anti-Bashir slogans. Protesters chanted: "It has fallen, we won." 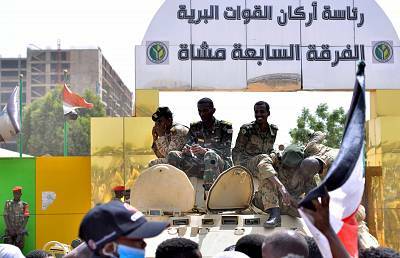 Omar Saleh Sennar, a senior member of the Sudanese Professionals' Association, one of the main protest groups, said it expected to negotiate with the military over a transfer of power. 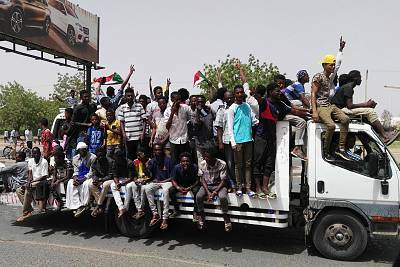 "We will only accept a transitional civilian government," Sennar said.